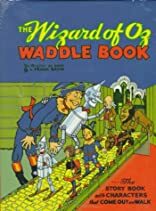 Presents the full original text of the classic story of Dorothy's adventures and features six punch-out characters that waddle down a punch-out yellow-brick-road ramp when assembled. About L Frank Baum (Author) : L Frank Baum is a published author of children's books. Some of the published credits of L Frank Baum include The Road to Oz (Little Golden Book), The Wizard of Oz.